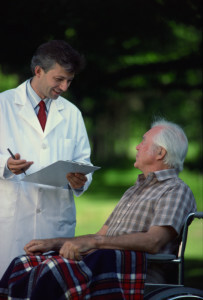 As you may be aware, Medicare is comprised of different parts. Eligibility for the various Parts depends upon your situation. Part A is basically hospital insurance, and can help cover hospital stays, skilled nursing facilities, hospice care, and home health care. Part B is the medical insurance component, often called Supplementary Medical Insurance. Part B covers medically necessary doctor visits, home health care costs, outpatient visits to the hospital, and many other services such as x-rays, lab tests, renal dialysis, prosthetic devices, durable medical equipment, etc. Part C, also referred to as Medicare Advantage or previously as Medicare+Choice, is an alternative to Parts A and B, and allows you to design a custom plan to better meet your medical needs. And Part D is the prescription drug plan. This Part of the plan is provided through private health insurance companies. Each plan offers differing costs and covered drugs. Age 65 or Older – Enrollment is automatic for Part A upon reaching age 65 and qualifying for social security. If you are already receiving social security benefits when you turn 65, you will automatically be enrolled in Part B also. But if you have not already started receiving social security retirement benefits (perhaps you are still working), then you must enroll for Part B as it’s not automatic. To do so, contact your local Social Security office or visit www.ssa.gov. Under 65 with Disability – If you are permanently disabled and have been receiving Social Security Disability payments for 2 years, you qualify and should be automatically enrolled for Parts A and B.
ESRD – If you suffer from permanent kidney failure and require dialysis or a transplant, you need to sign up for Medicare, since enrollment is not automatic. Upon being diagnosed with kidney failure, contact the Social Security Administration. There may be a 3 month waiting period after beginning dialysis. Lou Gehrig’s Disease (ALS) – Upon receiving Social Security Disability benefits for ALS, you are automatically enrolled in Medicare Parts A and B without any waiting period. Medicare Part C – Since Medicare Advantage (Part C) is an alternative to Original Medicare (Parts A and B), you must be eligible for Original Medicare. You must also live within the service area of the Part C plan that you are looking to enroll in. 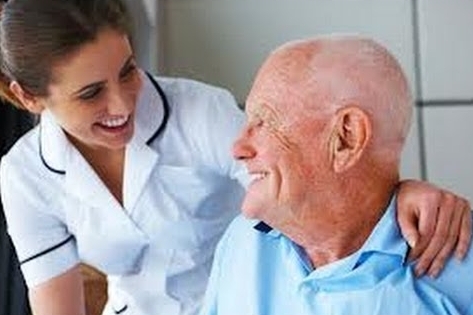 The Medicare Advantage Plan replaces Original Medicare and benefits are paid through the Medicare Advantage Plan. Medicare Part D – Part D of Medicare provides prescription drug benefits. And like Part C, it is provided by private insurance companies. To qualify for Part D, you must be enrolled in Original Medicare (Parts A and B) and live within the service area of the plan you are signing up for. There are often confusing enrollment periods for the different Parts of Medicare. Close attention is required. The ability to add or drop coverage is limited after the official enrollment periods end. To learn more about the various enrollment periods visit www.medicare.gov. Premiums paid for Parts B and D change each year and vary depending upon income. For example, in 2017, most people pay $134.00 per month for Part B. But this goes up to $428.60 each month for the highest income individuals. Part D premiums are in addition to your plan premiums and for 2017, range from 13.30 per month for most people, up to $76.20 per month for the highest income people. Part D Drug plan premium can range from about $17 to $80 per month, depending upon the plan you choose. The deductible for Part B is $183 per year in 2017. And the deductible under Part A is $1,316 for 2017, with varying coinsurance amount per day beginning on day 61. Deductibles, co-payments and/or coinsurance under Part D will differ with each plan. You can purchase private insurance that provides benefits that Medicare does not cover. This Medicare Supplement Insurance “fills the gaps” left by Medicare. If a Medigap policy is something that you want, you should get it within 6 months of obtaining Medicare Part B so that you are guaranteed to get it. You will pay a monthly premium for the Medigap policy in addition to the Part B premium. Also, the Medigap policy can only cover one individual. Spouses need to each have their own policy. There is much more to know about the various Parts of Medicare. This webpage only scratches the surface. You will want to read more about Medicare at the government website listed above and talk to someone at your local Social Security Administration office.